Jan 20, 2018 | What Am I Reading? 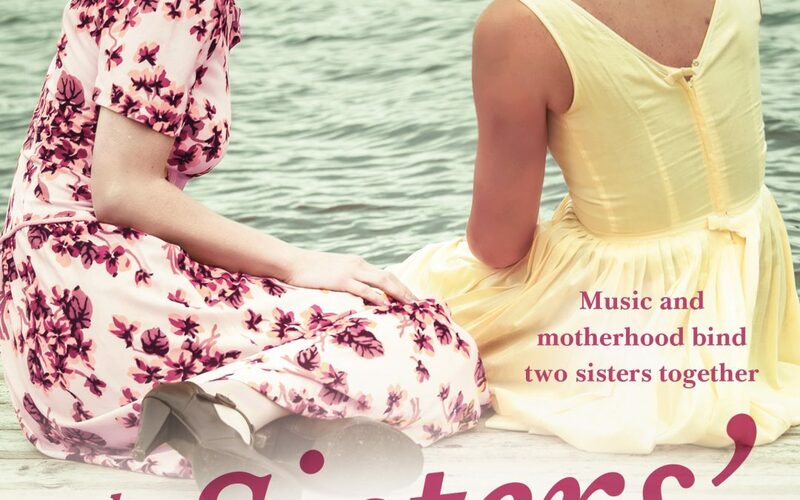 The Sister’s Song (Allen & Unwin Books 2018), the debut novel for Louise Allan, is an historical fiction tale about the strength of family, the friendship of sisters, and the dichotomy of parenthood (and more particularly, motherhood) – what we gain and what we sacrifice. Opening in the early 1920’s and spanning the next 70 years, the story introduces us to sisters Ida and Nora, very different in character and disposition, but alike in that neither gets the life they desire. Their father dies at a young age and the girls’ mother raises them in an often strained atmosphere. They live with their paternal grandmother, who encourages Nora’s musical talent – her piano playing and her beautiful singing voice. Ida is a nanny and dreams of having a husband and family – her own children – one day. But life doesn’t go according to plan, and the sisters find themselves each in situations that they would not have chosen, each with shattered dreams and dashed hopes, each living day-to-day in an existence far from what they had planned. Each sister believes the other has everything that matters; each feels their own life has been small and paltry because of what is missing. The story is set in rural Tasmania, and the evocation of place is rich and detailed. The intervening years between the beginning and the conclusion of the novel cover such a lot of time, and yet the author manages the pace well by choosing particular moments or events to explore in great detail, while passing over some years with barely a glance. She has clearly done her research into times past, and the historical aspects seem authentic. Music is a consistent theme in the novel, representing love, ambition and piety. The ways in which music strengthens bonds and connects people, and the lengths some will go to in pursuit of musical achievement, provide threads throughout the story that stitch it together. This is a gentle, meandering tale that reads almost like a fictional biography; Ida and Nora seem very real, especially Ida, who narrates in the first person. Fans of Ashley Hay, Kali Napier and Natasha Lester will enjoy the portrayal of strong women and the obstacles they face. For that is the real beating heart of the story: the age-old conflict of years gone by, of women wanting one thing and being forced to make do with another. Women who desired love and passion but settled for stability and commitment; bright women who wanted to use their skills and knowledge in jobs of their choosing but who had to put up with tending the hearth and home; women who secretly chased their artistic passions while publicly hiding their dreams; and women before the days of IVF who desperately sought to birth babies and raise children but who were unable to do so. This story is set during a time when pregnancy and children often arrived unexpectedly and unplanned, and were consequently viewed as either a blessing and a joy, or a curse and an inconvenience, when choices were limited and options were few. The men, too, are constrained by society’s expectations of them as breadwinners and steady, reliable sorts that won’t become ‘hysterical’ or unmoored by life’s tragedies; sometimes the men’s suffering is just as keen, if perhaps differently expressed, than the women’s. The Sisters’ Song is an exploration of the relationships not only between sisters, and between siblings, but between parents (both mothers and fathers) and their children, and it also captures the bonds between other extended family members – aunts and uncles, grandmothers – which sometimes replace primary nuclear relationships because of difficult circumstances or fraught emotions. This is a lovely story, told in a tender and compassionate voice, with much empathy for all of the characters, even those who act in a way with which we might disagree. This novel would make a lovely gift for a mother, aunt, daughter or – of course – a sister.